Why are airplane windows rounded? You may have wondered why airplane windows are round. Yes, it does look sleeker perhaps and gives a streamlined impression. To be honest as far as streamlining goes it matters not whether the windows are square, round or some other shape, as they are flush with the fuselage metal and the air goes past them just as happily. So, is there another reason for rounded windows? 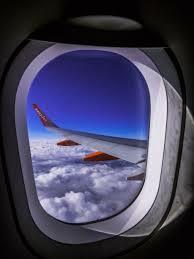 An airliner window showing rounded shape which we are very familiar with today. The answer, of course, is yes. Every feature of an aircraft exists for a very specific reason. Designs of various components are normally in place to respond to certain conditions that exist in various phases of flight to which the aircraft will be exposed. These can be anticipated conditions which designers are aware of, or they can be the result of lessons learned in the school of hard knocks. The design of aircraft windows falls into the school of hard knocks category. In the early days of aviation when passengers were first being carried, windows were found to be required as people would tend to become quite claustrophobic in a windowless tube. In spite of the weight penalty incurred by adding slabs of perspex at regular intervals along the side of the fuselage, designers resigned themselves to the necessity if they were to carry more than just cargo. The early airliner windows resembled those you might find on a bus. They were usually rectangular in shape and came in various sizes depending on who’s aircraft you were in. Passengers would have the opportunity to enjoy the view and assure themselves that they were indeed flying right side up. This worked like a dream, everyone was happy, passengers enjoyed the flying experience quite happily entering this metal or canvas tube to be taken aloft and deposited at some distant location. This applied to propeller airliners and worked well in their operating range of altitudes to a maximum of the mid 20,000s of feet. Junkers Ju52.3m G-AHOF BEA Ringway. In the early 1950s, there was a new sound in the sky. Jet engines were used for the first time on passenger transport aircraft. The de Havilland Comet was a radical new concept in passenger travel. With its four jet engines buried in the wing roots, it was a very sleek looking aircraft for the period. 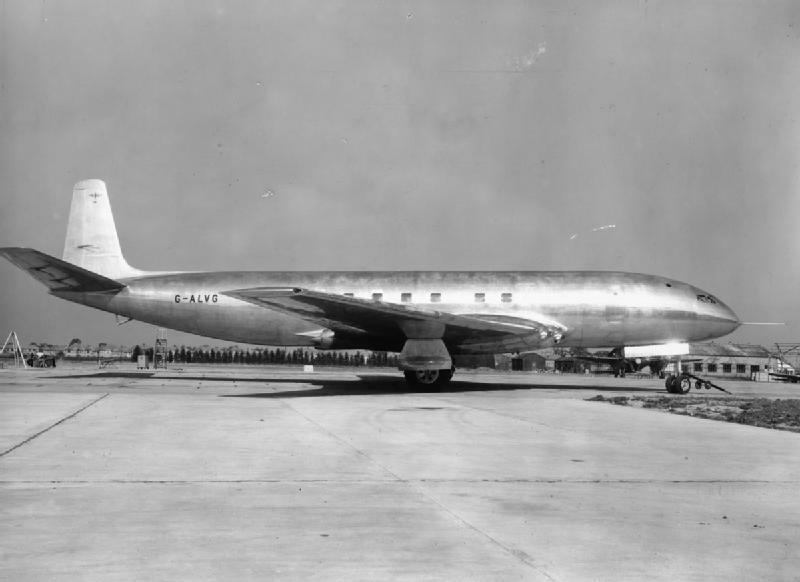 The Comet offered faster travel times as compared to its propeller predecessors partly due to its ability to fly higher in thinner air, which propeller engines were not capable of doing. In 1953 and 1954, the Comet was involved in several fatal incidents. The incidents involved the total breakup of the aircraft with the loss of all lives on board. The cause of these accidents had investigators baffled. With all the pieces of wreckage retrieved, they could ascertain that the aircraft suffered catastrophic structural failure. Eventually, they were able to pinpoint the source of the break up to a point in the roof of the fuselage. It took some time before they finally worked out the root cause. Effects of high altitude flying. As mentioned earlier, propeller aircraft are limited to how high they can fly. This means that the effect of high altitude flying is not really a factor in their day to day operation. Let’s look, however, at jet airliners. These aircraft fly much higher, often twice as high as their propeller-driven cousins. 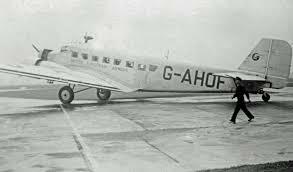 A de-Haviland Comet airliner prototype at Hatfield England. You can notice the very square shape of the windows compared to those we are used to today. This was how it was done on propeller-driven airliners of the past, but was to prove fatal in the jet age. We know that we as humans can only survive below a certain altitude if we are not to succumb to the effects of hypoxia. This, in simple terms, means we need to have a certain amount of oxygen in the air we breathe or we will lose consciousness and eventually perish. Airliner manufacturers are aware of this situation and have as a result come up with pressurisation in aircraft cabins when it is anticipated that this aircraft will climb above the acceptable altitude. In the past, most airliners have offered a cabin pressure which is approximately equivalent to the pressure at 10,000 feet above sea level. In today’s more modern aircraft such as the Airbus A350 or Boeing 787 Dreamliner, the pressure offered is closer to that found at 6,000 feet above sea level. Obviously the lower the pressure altitude, the more comfortable it is for the passengers as it is closer to what they are used to on the ground. Let’s look at what this does to the aircraft fuselage. An aircraft such as an A350 takes off from sea level and commences its climb to a cruise altitude of let’s say 35,000 feet above sea level. As it climbs out, the air inside and outside the aircraft are of equal pressure. On passing 6,000 feet, the pressurisation system kicks in. As climb continues, the cabin pressure is held at that which was found at 6,000 feet. On the outside, however, the pressure continues to fall the higher the aircraft climbs. On reaching the cruise altitude of 35,000 feet, the pressure differential between outside and inside is almost 6 times. There is almost 6 times more air pressure inside the aircraft then outside. Today’s aircraft are made from various metal alloys and have a very high strength to weight ratio. This notwithstanding, there is still some anticipated growing and shrinking of the fuselage each time the aircraft climbs and descends. Each takeoff, climb and descent and landing is known as a cycle. Aircraft with very high cycle amounts are those that are used on short domestic hops as opposed to those doing long trans-continental or trans-oceanic flights. These aircraft are rigorously checked for any cracks or metal fatigue resulting from many cycles where the fuselage is subject to many expansion and contraction events. Before the advent of the jet age, the understanding of the effects of cycles and metal fatigue was not understood as they had not applied to airliners that had been used thus far. It was not until the Comet flew much higher and endured many cycles that things unravelled. The Comet still flew fairly short hops by today’s standards, much like the propeller aircraft of the day. A trip from London to Singapore would involve many stopovers such as; London, Rome, Cairo, Karachi, Calcutta, Rangoon, Singapore. That is 6 cycles for one trip. As mentioned above, investigators of the Comet crashes were able to pinpoint the source of the structural failure to a point in the fuselage roof. It seemed as if a crack had opened up along one of the joins between pieces of the aluminium skin. After some time and testing, it was found that the crack had started at the corner of one of the windows. This is the actual fragment skin that peeled off the de Havilland Comet G-ALYP, retrieved from the ocean floor, that allowed investigators to figure out the flaw that caused several crashes. This changed how jet airliners were made forever. The Comet was designed with square windows just like its propeller-driven ancestors. Unlike its propeller-driven ancestors, the Comet experienced a much more extreme difference in pressures as it flew much higher. Tests showed that structural pressures would always find the weakest point, which in this case was the corner of a square window. Instead of pressure being absorbed evenly throughout the structure it found the window corner was the weakest point which became the focus of the pressure. Dan-Air London Comet G-AYWX. 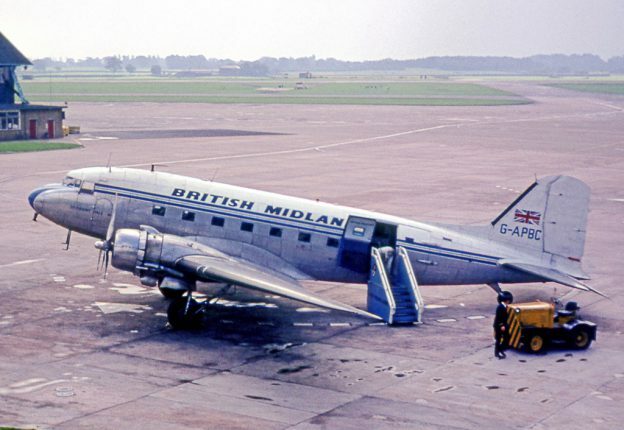 The de Havilland Comet with rounded windows continued on to a successful 30 years of service. Here we see the larger Comet 4C model which included round windows and wing pods for additional fuel. The Comet was grounded for two years while the research was conducted and corrections were made to the design. 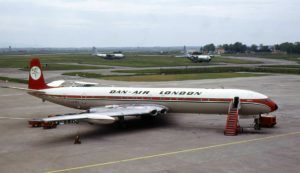 Whilst the Comet mark one never flew again and sales were severely affected for the following versions, it still went on to have a successful 30 years of life with rounded windows. So why do we have rounded windows on aircraft? It is to maintain structural integrity and distribution of the considerable forces applied to the fuselage evenly. Comets that exploded in flight because the square windows which were riveted created stress cracks that eventually caused explosive decompression. You Tube has an excellent video history that covers it.